Dancing Gate is situated in an outstanding location less than two miles from Keswick. 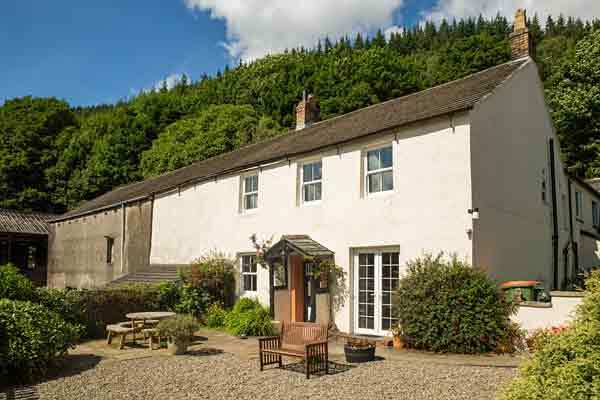 This is a former farmhouse which has been carefully renovated to retain much of its original character, whilst also providing the facilities to make your stay here both comfortable and relaxing. The house is ideal for couples and families alike, sleeping up to 7 people - plenty of rooms but with a cosy atmosphere. Check out the low and full occupancy tariffs and short break offers making an affordable holiday whatever your party size. Dancing Gate has panoramic views of Whinlatter Forest and the Grisedale Pike range, Newlands Valley, Borrowdale and the Helvellyn Range. Walk and cycle routes available from the doorstep. Well-behaved dogs are very welcome and there are several pleasant walks in the nearby area. The osprey viewpoint is just over a mile away. Secure cycle storage in the utility room and wash off facility available. The cottage is in an ideal location for your Lake District Holiday - whether as a base for walking or cycling, or for touring by car. Dancing Gate is situated on a working farm and at different times of the year you can see lambs, calves, horses, lots of wildlife and many different species of birds.